Family-friendly places like Sea World Theme Park and Victoria Point Reserve will thrill your kids. Go for a jaunt from Victoria Point to Oxenford to see Warner Bros. Movie World about 54 minutes away. To find ratings, maps, where to stay, and other tourist information, go to the Victoria Point route planner. Kuala Lumpur, Malaysia to Victoria Point is an approximately 16-hour flight. Traveling from Kuala Lumpur to Victoria Point, you'll lose 2 hours due to the time zone difference. Prepare for colder weather when traveling from Kuala Lumpur in June: high temperatures in Victoria Point hover around 24°C and lows are around 13°C. Finish your sightseeing early on the 10th (Mon) to allow enough time to travel to Melbourne. 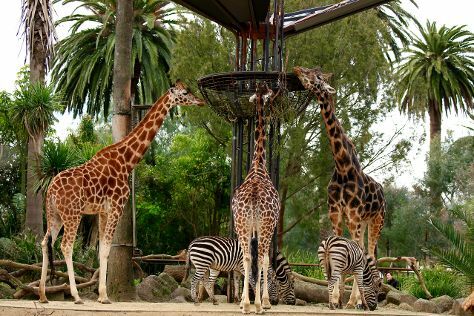 On the 11th (Tue), admire the natural beauty at Melbourne Zoo, then enjoy breathtaking views from Eureka Skydeck 88, and then take in nature's colorful creations at Royal Botanic Gardens. Get ready for a full day of sightseeing on the 12th (Wed): take in nature's colorful creations at Fitzroy Gardens and then examine the collection at Melbourne Museum. To see traveler tips, other places to visit, ratings, and tourist information, read Melbourne trip builder . Explore your travel options from Victoria Point to Melbourne with the Route module. In June, Melbourne is a bit cooler than Victoria Point - with highs of 16°C and lows of 6°C. Wrap up your sightseeing by early afternoon on the 12th (Wed) to allow enough time to travel back home.